The CCC has been on my list of events to visit for quite a few years now. So my expectations were high, especially remembering all the stories my friends had told me from the previous years. Somehow it surpassed them all tenfold. Read on, if you would like to know what happens, when 16.000 hardware and software geeks gather in one place. Imagine walking into the a huge hall, so big it feels more like you arrived at an airport than at a conference centre, with an enormous glass roof covering all 19.000 m² of it. 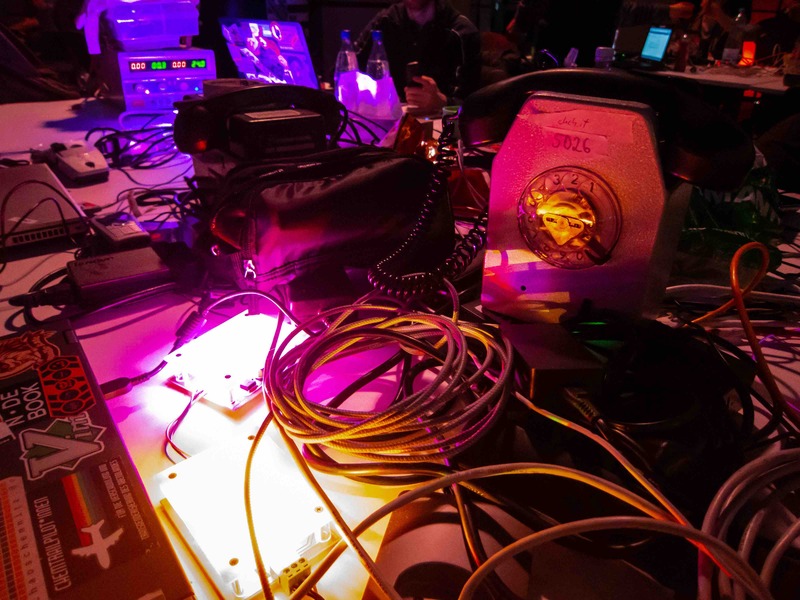 This is my first impression from one the biggest gatherings of hardware and software hackers in the world, and the biggest of its kind in Europe. I am in Leipzig and it’s the 26th of December. Most people are at home celebrating Christmas and relaxing with their families and friends. But I am here, far away from all that, with around 16.000 geeks participating in the 35th Chaos Communication Congress, or CCC as its more commonly called. Old information screen hacked to be one of the welcome screens at CCC. Displaying the logo of the Chaos Computer Club. There are people building flexible speakers into pillows, a whole section dedicated to the art of lockpicking, a French guy working on an open source control algorithm for a four legged robot, a group of people staring intensely into their screen trying to win the capture-the-flag competition, people hacking and experimenting with food, a vintage computing section with parts of an old mainframe, a couple of telexes and much, much more. Phones and tools at the Chaosvermittlung. 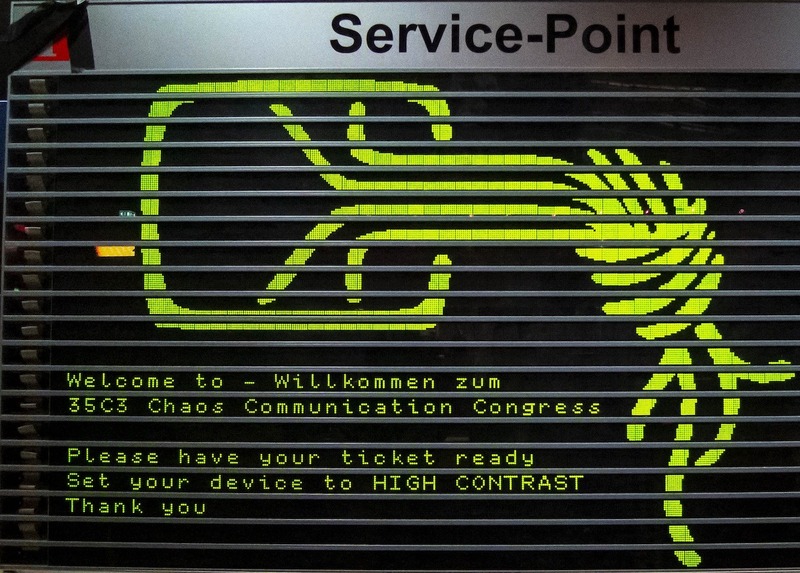 This year’s congress is called 35C3 since it is held for the 35th time. CCC started as a small event in Hamburg back in 1984, organized by the German Chaos Computer Club. 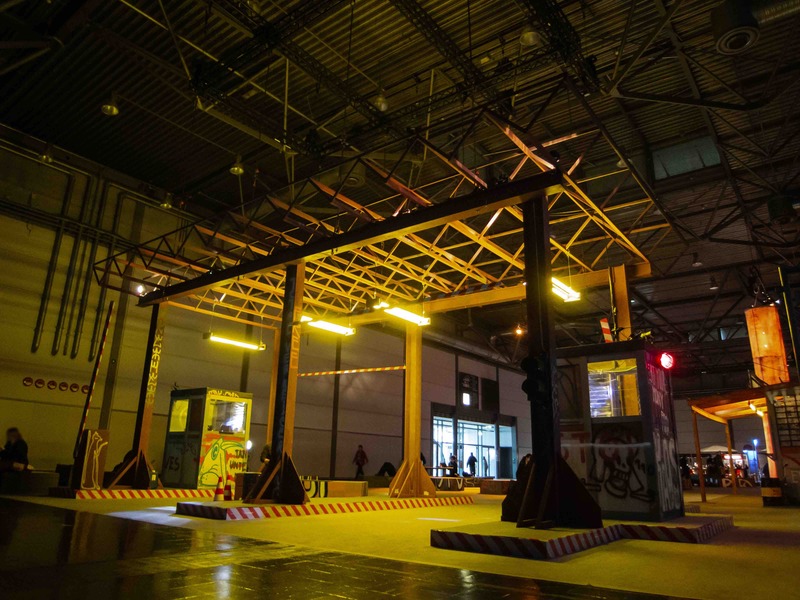 It has grown a lot since, and changed locations a couple of times, between Hamburg and Berlin, and now ending up in its current location at the Leipzig Messe just outside Leipzig. You need to be there in person to understand the scale of it. After the move to Leipzig they got plenty of space for all sorts of things. 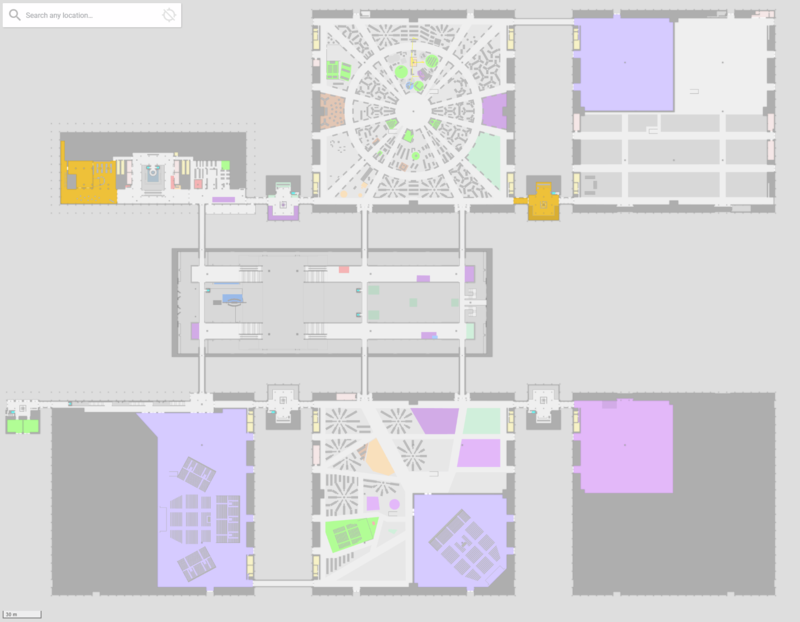 Besides the Glass Hall the CCC uses all of the five exhibition halls, covering about 110.000 m². On top of that they also use most of the four-storey conference centre adjacent to the exhibition halls. The event ran for four days, with 167 talks to attend, divided between 5 main stages, all streamed live to the internet as well as uploaded for later viewing. Some of the talks even had live translation into multiple languages, which you could access using the c3lingo service, or via a DECT phone that you could bring with you and connect to the internal DECT network. I will go into more details about that system in a later post. Besides the talks, one of the main parts of CCC are the so called Hackcenters that occupy two of the five exhibition halls. Here any association, organization, hackerspace or just a group of friends can reserve a space and create and assemble. They can set up their stuff, a bit like a camp on a music festival. Some go all in with a huge installation and even a dedicated stage for talks, others just have a table to sit and code. This year there were 183 registered assemblies spread out over the two Hackcenters. 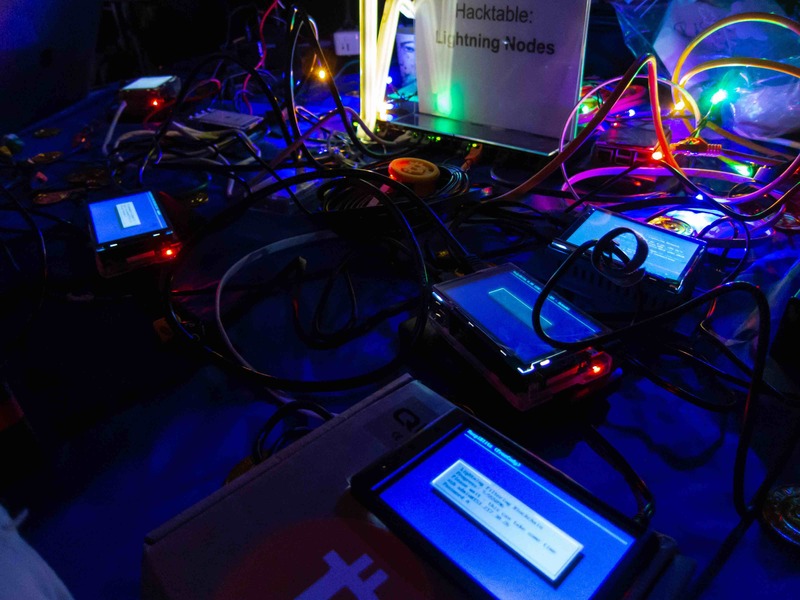 Among these were assemblies focused on 3D printing, BSD, Bitcoin, The Dolphin emulator, Rust, Diaspora, Foodhacking, SMD soldering, Python, Open Source FPGAs, NextCloud, vintage computing and much, much more. People from the CRYPTO currency Assembly playing with Lightning Nodes. And if this wasn’t enough to keep you busy during the four days, there were also self organized sessions. These can be everything from a meetup, a talk, a workshop, or just a competition. 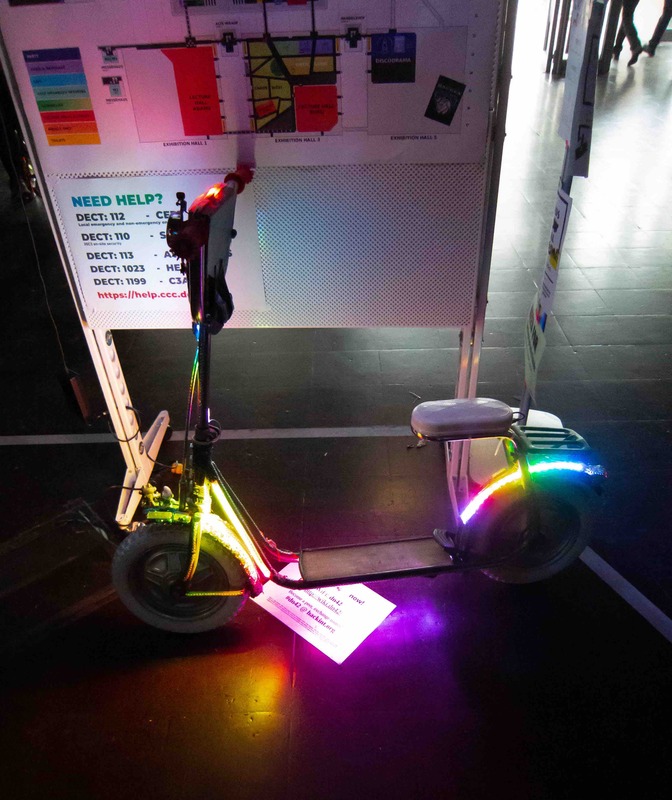 There were around 393 sessions, many of them being run multiple times, all with a dedicated event description on the 35C3 Wiki. All of this is done non-profit and executed by around 4.000 volunteers or Angels as they are called at CCC. Now I finally understand why many of my friends don’t go to many talks during the event, but instead watch the videos when they get back home. There are simply way too many other things to do while you are there. And I haven’t even mentioned the whole socialising part of all this. 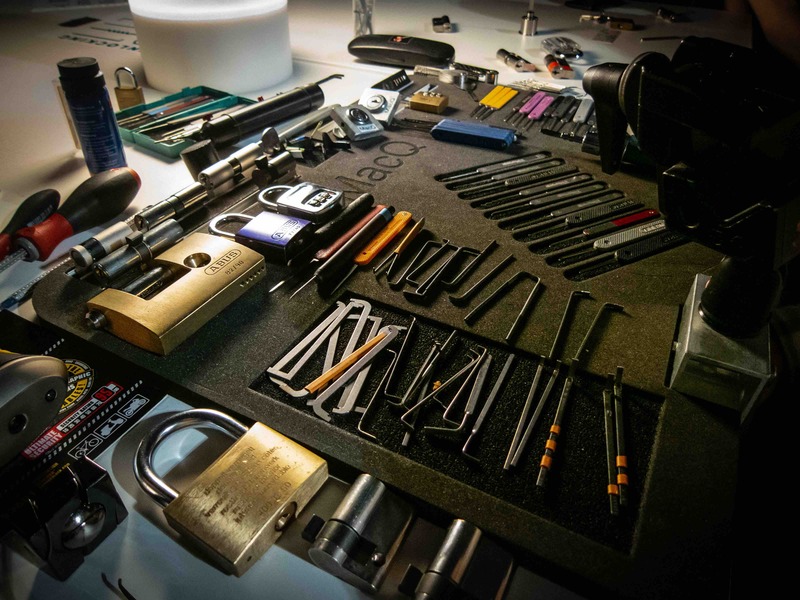 A selection of tools and lock in the lockpicking area. CCC is like a temporary city or maybe even a temporary world, that just exists 4 days a year. When you leave the big glass hall and walk into one of the Hackcenters, it is almost like stepping into a set from Bladerunner or some other cyberpunk themed movie. There are no windows and the ceiling lights are turned off, so you have no feeling of what time of day it is. The main lighting comes from all the different, intricate and colourful displays, and other light installations, many having that old school neon vibe to them. And among all the lights people are sitting chatting, catching up with people they haven’t seen since last year’s congress other than through mails or IRC. 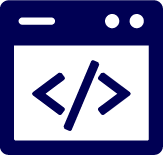 Some are just hacking away on their own or on some common project. One of the many bars at 35C3. This one was named Memleak Bar and had a bit of a dystopian look to it. And between all these places are people racing around on scooters, and other small homemade electric vehicles. The thing with the vehicles started last year, when CCC moved to Leipzig. The place is so big you can easily walk 500 meters to get from one place to another. A scooter makes it a lot easier to move around. It is quite fascinating to walk past the entrance to one of the big stages and see the number of vehicles parked there. There was even a dedicated racetrack, so you could test out your vehicle against others. CCC really is something special. Life tends to start at around 10-11 where the first talks begin, and then the day runs till around 3-4 in the morning, or even later if you just want to continue partying in one of the many bars and lounges. You don’t have to worry about transport, since free use of public transport in all of Leipzig is included in the ticket price. CCC has even managed to make a deal with the city, so the tram going between Leipzig central station and the Conference was leaving in 10 minute intervals 24/7 during the whole event. So there is no excuse not to try and explore it all. In later blog posts I will dive into some of the specific parts, events, projects and talks of the CCC. There is just way too much fascinating stuff to cover in one article. One of the many pimped scooters that was driving around congress. If this article has peeked your interest, and made you want to go visit CCC this year, here is a couple of recommendations, to get a good experience out of it. The standard ticket price for 35C3 was 140€. This covers the conference, and on top of that you have to arrange for a place to sleep. It is easy to get form the central station in Leipzig to the conference, and there are plenty of decently priced hotels there. Remember to bring cash for food, drinks and other stuff at the conference, as in most of Germany they rarely accept credit cards. There are two ATMs at the conference if you really need it. Ethernet cable and adapter, if you want to utilize the insane network speeds that the event provides.